Charlotte Gorman is the quintessential geek who loves her books and her solitude. Her weekend in Orlando is supposed to be her down time but her twin sister has different plans. From Ginny wanting Charlotte to walk her dog or just be there for her every beck and call, this weekend goes in a total opposite direction. The readers are placed dab smack in the middle of Charlotte’s thoughts. She is quirky and funny. She is kind but she is so insecure. She measures herself up to Ginny at every turn. 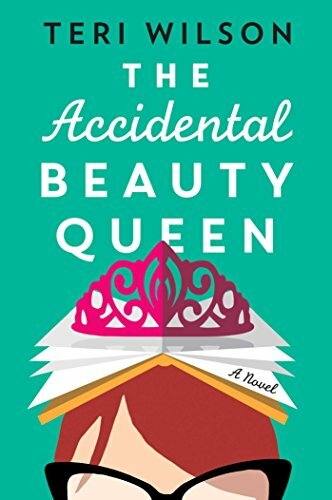 When the chance to play a beauty Queen for Ginny presents itself, Charlotte, surprisingly doesn’t turn down the idea. Instead, she steps up to the challenge to see if she can be the twin that everyone looks at. I loved Charlotte. I was rooting for her. I have to admit that when I read the blurb initially, I didn’t think there was a romance so I was surprised when Charlotte started to connect with Gray. He is not all that he presents himself to be. He gets her jokes. He understands her love of literature and appreciates it. She is his Hermoine (read the book!) and I got worried that the romance was overshadowing the overall message. The author does a nice job of bringing the focus back on Charlotte. She learns that she is more than just a twin. She stands up for herself as an individual and having people take notice of her for a change. The dialogue is real and the inside of the pageant world was interesting. This story has all the structure of being predictable, formulaic and cheesy as some chick lits but it works. The ending has a bit of a surprise. The characters step out of their normal mold and show the development that the author has framed. Overall, I enjoyed every moment of it.